Rush into battle with the Beyblade Burst Turbo Slingshock Single Top that combines rail riding capabilities with the ability to “burst” into pieces during battle, resulting in intense head-to-head clashes. Bladers can keep the Performance Tip in Battle Ring Mode to defend their position in the Beystadium or convert it to Slingshock Mode to ride the rails and amp up the battle. 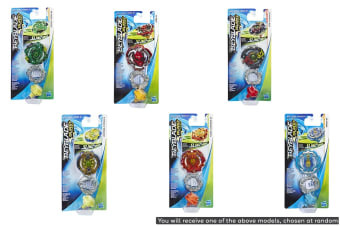 Scan code on the energy layer of the Beyblade Burst Turbo Slingshock Single Top to unleash the top in the Beyblade Burst app! Let it rip! 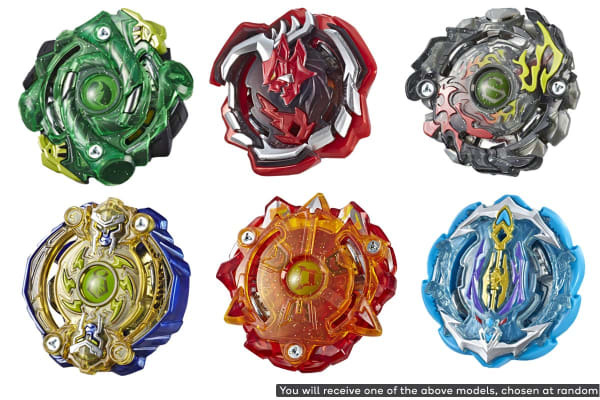 *Requires Beyblade Burst right-spin launcher and Beystadium, each sold separately.